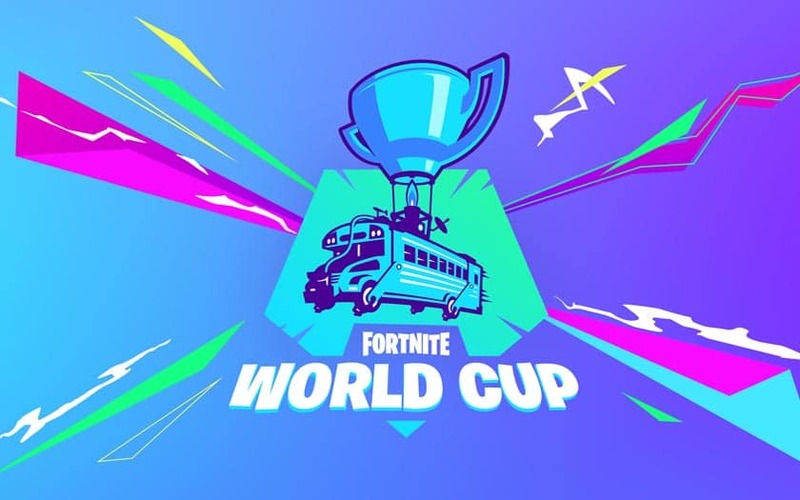 The Fortnite World Cup officially begins on April 13, 2019 with a first stage of online qualifying, before the big finals in New York. Epic Games has planned a cash prize of $ 100 million for the competitive year. How to participate, tournament format, calendar … here is everything you need to know about the event. 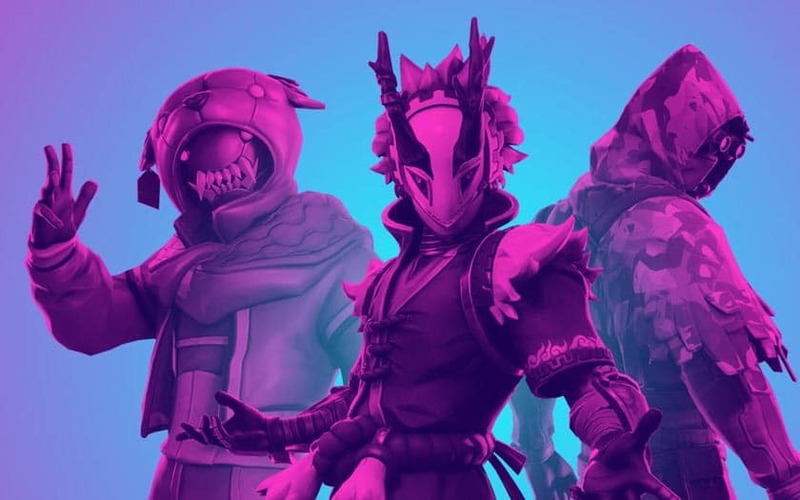 Epic Games announced in February 2019 its first Fortnite World Cup , with $ 100 million in winnings to win. We now have the details of the circuit proposed by the publisher, which consists of several weeks of qualifying and grand finales held in New York. We explain how you can participate in the event. Who can participate in the Fortnite World Cup? The competition is open to all players who are at least 13 years of age and who have an account at least level 15. Minors must obtain permission from a parent or legal guardian to participate in the event. Epic Games wanted to make it accessible to the world. On the other hand, there is only one gaming platform available: the PC. PS4 players, Xbox One and Switch will have to find a solution if they wish to participate. Note that nothing prevents them from playing next to the controller on computer if they prefer the pad on the keyboard and mouse. 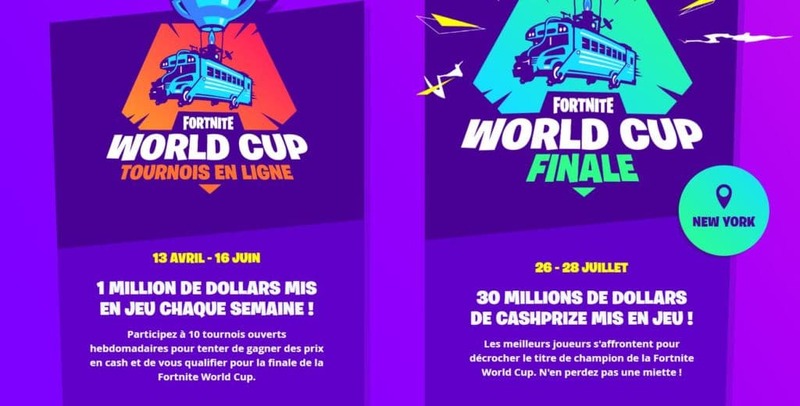 Epic Games has promised the distribution of 100 million dollars of cash prize for the entire World Cup. 30 million will be won in just three days in the finals of New York. Each qualified player will receive at least $ 50,000, but the big winner of the solo tournament will leave with the sum of $ 3 million . Before that, there will be $ 1 million in play each week during qualifying. After the finals, the stakes will necessarily be lower, but the publisher will continue to inject $ 1 million weekly until the end of the year in tournaments “in a wide variety of modes and formats” . Epic will also support Fortnite competitions from other organizers. First step, the weekly online tournaments open to all eligible players . Each of them takes place in two rounds every weekend, each server region having its own tournament: North America, North West America, Europe, Asia, Brazil, Oceania. For the moment, the eligibility rules are still to be defined precisely, but we know that we have to make very big performances in Arena mode to have a chance. Concentrate on it while waiting for more details. The semifinals of these qualifying tournaments are organized over 3 hours, with a maximum of 10 games to play. Player score is based on placement and eliminations, as with any Battle Royale. The top 3000 players are qualified for the Open Tournament Finale which is held on Sunday. For the qualifying finals, the survivors start all over again. The performances achieved during the half do not matter anymore. Again, 3 hour sessions with 10 innings to play at maximum. At this stage, you have a chance to pocket a portion of the $ 1 million weekly. If you are one of the best, you can even hope to pocket your ticket to the finals of the Fortnite World Cup in New York. 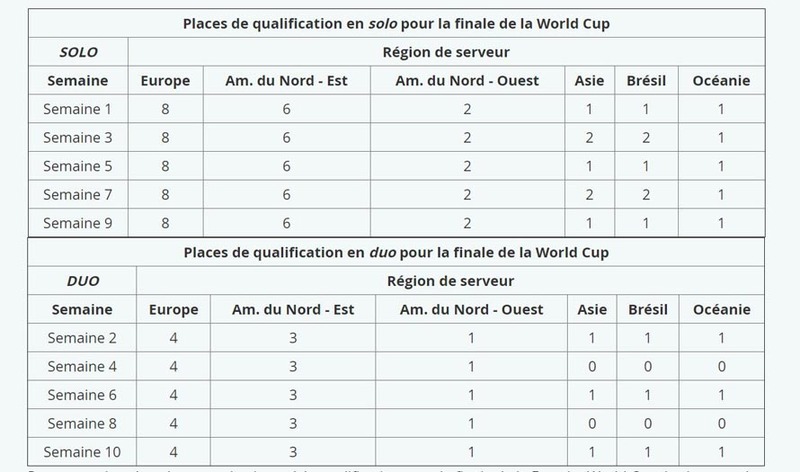 You can find below the table showing the number of qualified per region each week. In Europe, there are 8 weekly spots available for solo competition and 4 duets . Of the one million dollars put into play each week, 400,000 are to be won in Europe alone. You know what you have left to do. Keep in mind that unlike other games like HearthStone, players are only allowed to participate in the open tournament of a single server region. You can download the full rules here . The open tournaments start on April 13, 2019. The first weekend is devoted to solo then the second in duet format, and so on. 10 weeks of qualifications that end on June 16, 2019. At this date, we will know all qualified that will meet in New York from July 26 to 28. The times are the same each time: from 17h to 20h Paris time.